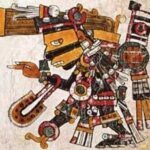 The Aztecs were a Meso-American society that flourished from the 14-16th centuries around the city-center, Tenochtitlan (now Mexico City) and in the Valley of Mexico. The civilization was defeated and wiped out when Hernán Cortés conquered Tenochtitlan in 1521. Soon after, the Spanish settled around the area and began colonizing Central America. 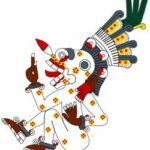 Read articles about the Aztec culture below.